A feature for the OxStu. Psychological thrillers abound as directors around the globe turn their attentions to the workings of the human mind. Danny Boyle’s latest, Trance, focuses on memory and how it can be manipulated. Art auctioneer Simon (James McAvoy) sets up an inside job to pay debts owed to professional criminal Frank (Vincent Cassel). But when Simon forgets the stolen painting’s location after a head injury, Frank suggests hypnotherapy to restore the memory. In Side Effects US director Steven Soderbergh considers the flaws of psychiatric medicine in the treatment of mental illness, using central character Emily’s (Rooney Mara) depression as psychological focus. Emily’s psychiatrist Dr. Banks (Jude Law) prescribes a variety of antidepressants, before finally turning to new drug Ablixa. Cue unexpected and disturbing side effects. The concepts of remembering and forgetting are crucial to the mysteries of each film, but despite the similarities, Boyle’s is by far superior. Engaging central characters are a crucial ingredient of a gripping psychological thriller. 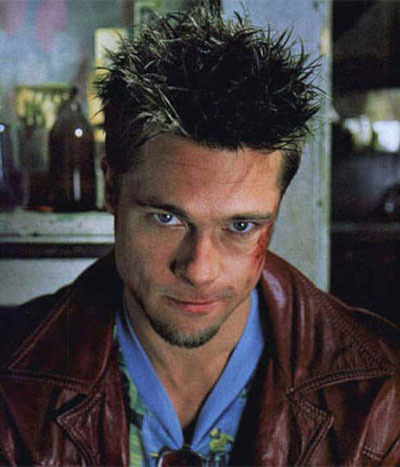 Take Fight Club’s Tyler Durden (Brad Pitt): he’s ambiguous and suspicious, so the audience is never quite sure if he can be trusted. Most importantly, we want to discover his secrets. In Trance and Side Effects there are secrets and suspect characters a plenty. Trance intrigues throughout due to fluctuating dynamics, and deferred explanation, in the relationships between Frank, Simon and hypnotherapist Elizabeth (Rosario Dawson). Side Effects also presents conflicted relationships within a small group of characters, but this is ultimately better handled in Trance, which only has three characters to deal with (discounting some generic thugs who flaunt their muscles but not much else), enabling detailed attention to these psyches. Side Effects is crammed with superfluous characters who fail to interest; Emily’s husband Martin (Channing Tatum) is so underwritten that he’s really only a plot device. Medical ethics are a theme of both Trance and Side Effects. Trance’s Elizabeth first seems to be an innocent bystander willing to help Simon out of his sticky situation, but of course things are never so simple. Elizabeth, triumphantly written as both villain and victim, is also likely to be subjected to suspicion as the film progresses. Side Effects’ Dr. Banks is similar, though final events make it easier to condemn him as arrogant opportunist. Emily’s old doctor, Victoria Siebert (Catherine Zeta-Jones, who excels amongst several wooden performances) is also added to the mix, creating yet more conflicts of interest. 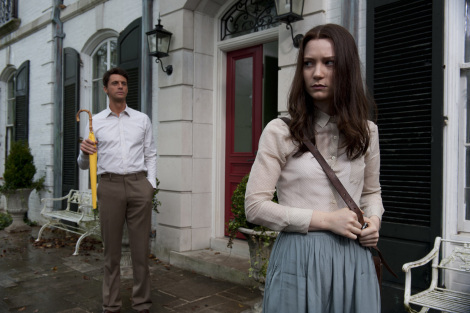 Ethically troubling relationships also provide the hook in Chan-wook Park’s Stoker, Wentworth Miller’s debut screenplay. Mia Wasikowska and Nicole Kidman respectively play a grieving mother and daughter, saddled with a strange houseguest (Matthew Goode). The understated performances are magnetic, and once again it’s unclear who we should trust. Like Trance, Stoker intrigues and unsettles with the use of three protagonists, creating a twisted narrative of incestuous sexual jealousy that would make even Hitchcock blush. (Hitch’s influence is clear thematically and visually – there are some rather familiar shower shots). Focussing on psychology may seem anachronistic in a visual medium, but in these movies it provides opportunity for stylistic experimentation. In Boyle’s effort this is largely confined to trippy colour washes, but Stoker presents Burtonesque visuals and a tantalising lack of chronology. Best of all, examining psyches allows for fantasy scenes which, if done well, are difficult to distinguish from the film’s reality. This becomes the driving force in Francois Ozon’s psychodrama In the House, where ‘stories’ penned by Claude for his teacher Germain (Fabrice Luchini), are acted on screen. This results in audience uncertainty; is Claude telling the truth or are his stories merely unsettling fantasies? Even more disturbingly, the perverse events may be fabrications of Germain’s interpretation. Once more, the workings of the mind are foremost in this subtle tale about how we craft and react to stories. Oxford’s own Hacked Off Films agree that interesting characters and plot twists are crucial to psychological thrillers. Accordingly, they’ve chosen Darren Aronofsky’s Black Swan, starring Natalie Portman as unstable ballerina Nina, for their next immersive screening. Brush off your black tie, and test out their aim to hold you in a ‘strangle-hold of tension’. Visit www.hackedofffilms.com for tickets. This entry was posted in Feature and tagged Alfred Hitchcock, Black Swan, Brad Pitt, Catherine Zeta-Jones, Chan-wook Park, Channing Tatum, Danny Boyle, Darren Aronofsky, David Fincher, Fabrice Luchini, Fight Club, Francois Ozon, In the House, James McAvoy, Jude Law, Matthew Goode, Mia Wasikowska, Natalie Portman, Nicole Kidman, Rooney Mara, Rosario Dawson, Side Effects, Steven Soderbergh, Trance, Vincent Cassel, Wentworth Miller. Bookmark the permalink.